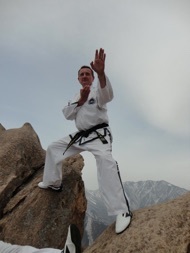 Master Joseph Seszko, 8th Dan started seriously training in Martial Arts in 1970. The power and finesse amazed him, and he knew he was going to teach Martial Arts after the first time. Master Seszko has been a certified instructor since 1980. He is also a certified ITF Class A Umpire. Master Seszko’s instructor was Grand Master Tompkins. He has also participated in various seminars led by General Choi Hong Hi, Grand Master Choi Jung Hwa, Grand Master Park Jung Tae, Grand Master Tompkins, Grand Master Nicholls, and Grand Master Wheatley. -Master Seszko has competed in various open tournaments between 1980 and 1992 while winning various awards as well as becoming a grand champion. -He competed in the North American Championships held in Regina, Canada in 1986. There he was presented with 1 Silver and 2 Gold medals by General Choi. -In 1992 Master Seszko was inducted into Clarence West’s Superstars Hall Of Fame. -Competed in the GTF World Championships held in Moscow, Russia in 1994 for Team USA. 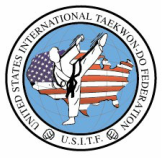 -Master Seszko has had black belt students compete at National and World Championships in both the GTF and ITF winning Gold, Silver, and Bronze. ​Currently he is a 8th Degree Master Black Belt (USA-7-1008, Promoted January 15, 2005) and is a member of the USITF. Master Seszko’s current goal is to keep teaching and helping students become champions in all walks of life.